More than the skills here, it’s the thermodynamics of the mind that Sardar Singh battles. India captain P R Sreejesh dedicated the Asian Championship Trophy triumph to the Indian soldiers martyred in the Uri attack and their families, saying it's a Diwali gift to those who lost their lives while safeguarding the country. 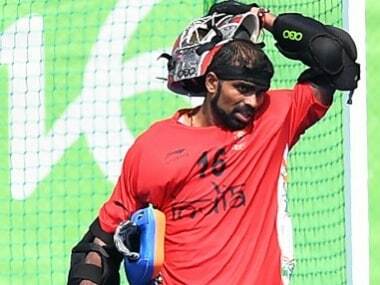 Indian hockey captain P R Sreejesh on Monday said he is not sure about participating in the upcoming Australia tour beginning 23 November, but would try to get into the team. India celebrate their first gold medal after the 2014 Asian Games after they had clinched the World League bronze and the much coveted Champions Trophy silver. But this victory would be sweet and celebrated long into the night at Kuantan. Chief Hockey coach Roelant Oltmans on Sunday heaped praise on his boys and set his sights on bigger global titles after India reclaimed the Asian Champions Trophy by defeating arch-rivals Pakistan in an exciting final at Kuanton on Sunday. 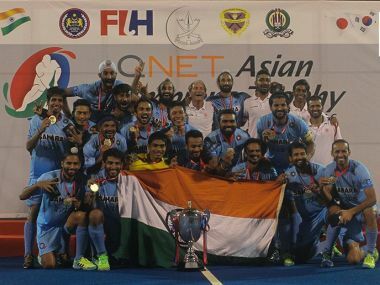 Favourites India prevailed 3-2 over arch-rivals Pakistan to reclaim the Asian Champions Trophy, presenting a perfect Diwali gift to the nation at Kuanton on Sunday. India defeated South Korea in the semi-finals of the Asian Champions Trophy hockey tournament in Kuantan on Saturday to set up a title clash with arch-rivals Pakistan. Malaysia defeated South Korea 3-1 in the penalty shootout to claim their fourth successive bronze medal in the Asian Champions Trophy tournament at Kuantan on Sunday.